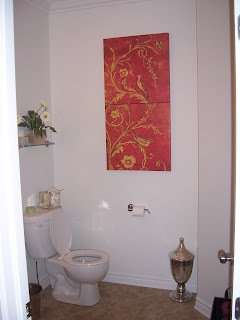 I have a finished powder room! 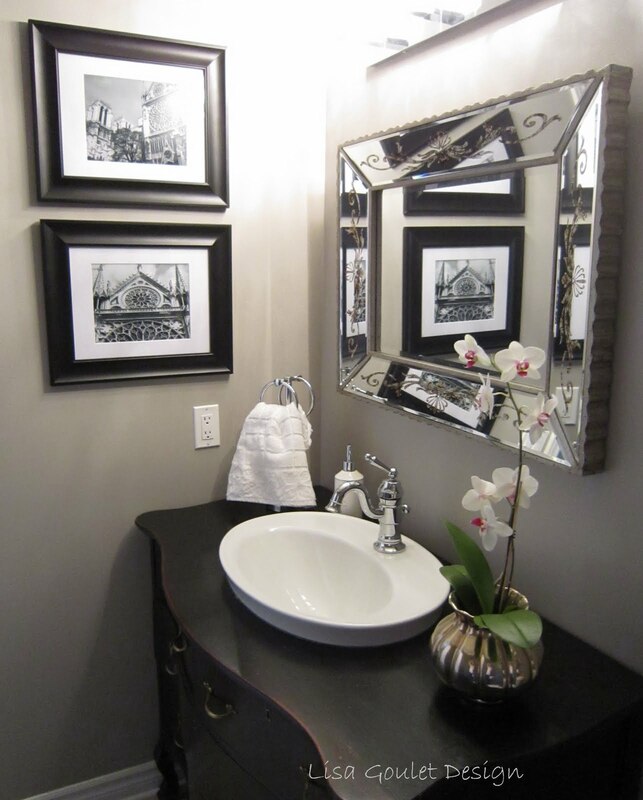 After living in this home for three years and hating the powder room, can you believe it was too big! 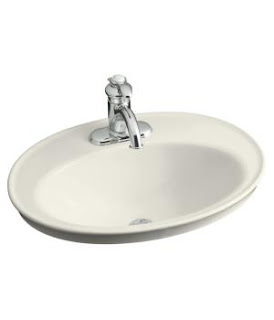 Just felt like a big cavernous hole especially with the puny pedestal sink. Anyways, I made do for awhile by wallpapering a couple of walls (the wallpaper from Graham & Brown called Charming – that I blogged about last week) and changing the light fixture to a much prettier one. 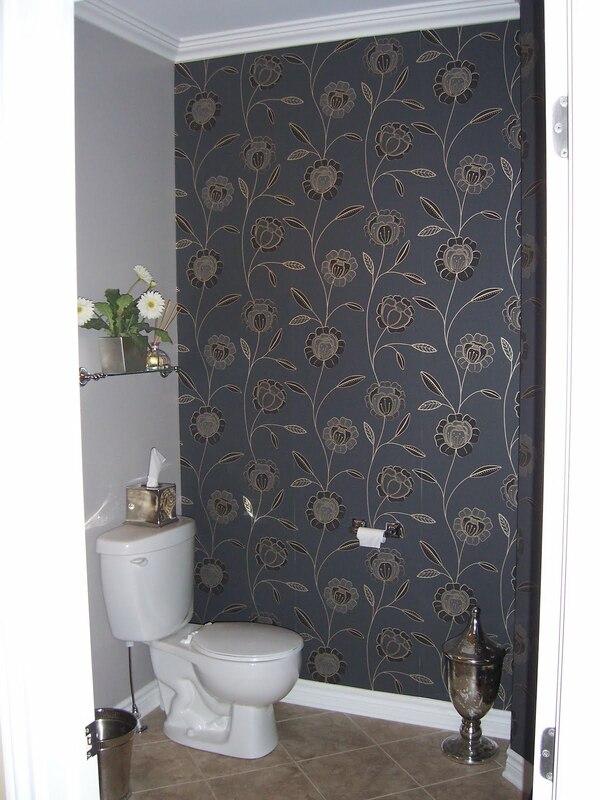 This last one shows the wallpaper from Graham & Brown. 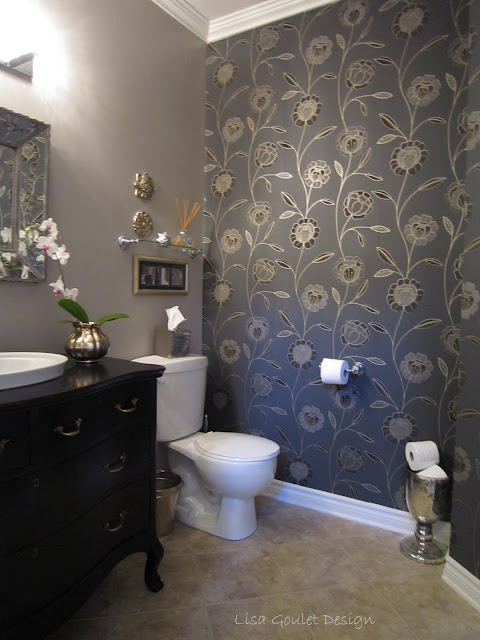 Check out how Kelly’s used this wallpaper in her gorgeously finished master bedroom over at Design Ties. 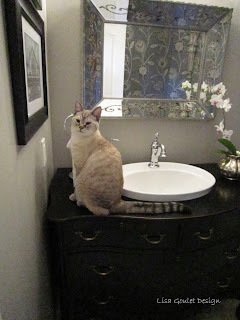 But now, I think it is my favourite room in the house!! So what did I do, well first I must give my hubby lots of credit as he did all the hard labour and had to sacrifice himself and go buy some new power tools – it was tough but he hung in there and finished it quickly! 😉 I was also trying to stay on a budget as we will have four children in university and college in the fall and we’re trying to be responsible parents. A couple of months ago I found the perfect 1920’s mahogany dresser at an antique sale for the great price of $300. I had been looking for one to convert into a vanity that was the correct size, shape and finish. 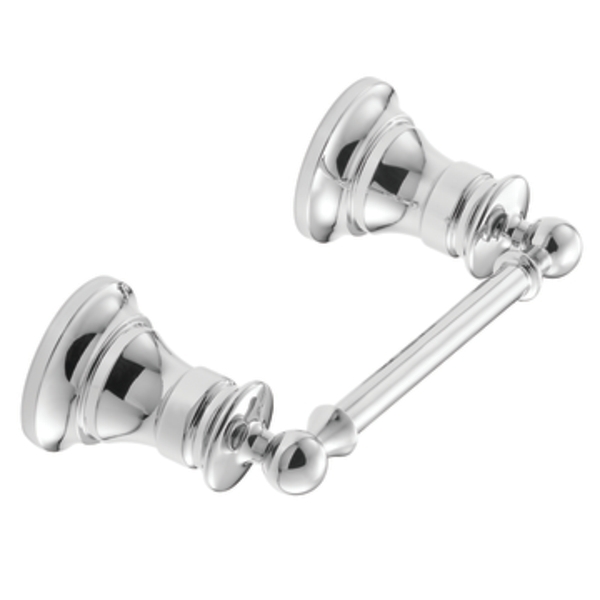 It looked like this when we got it. Then the faucet, I originally wanted a more modern style faucet but I felt that since the sink, light fixture and wallpaper were quite modern that I should go with a more vintage feeling faucet to tie the vanity into the space. 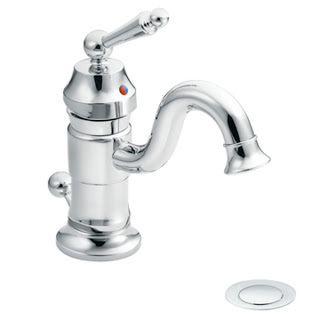 Here’s the faucet I chose, a bit of a splurge but it’s beautiful – it’s a Showhouse (by Moen) and it’s called Waterhill in a chrome finish. And the Waterhill matching toilet paper holder…so pretty! Okay I have the two pieces that hubby needs to get started and here’s the work in progress. This is our supervisor Milo always at the ready to lend a paw. 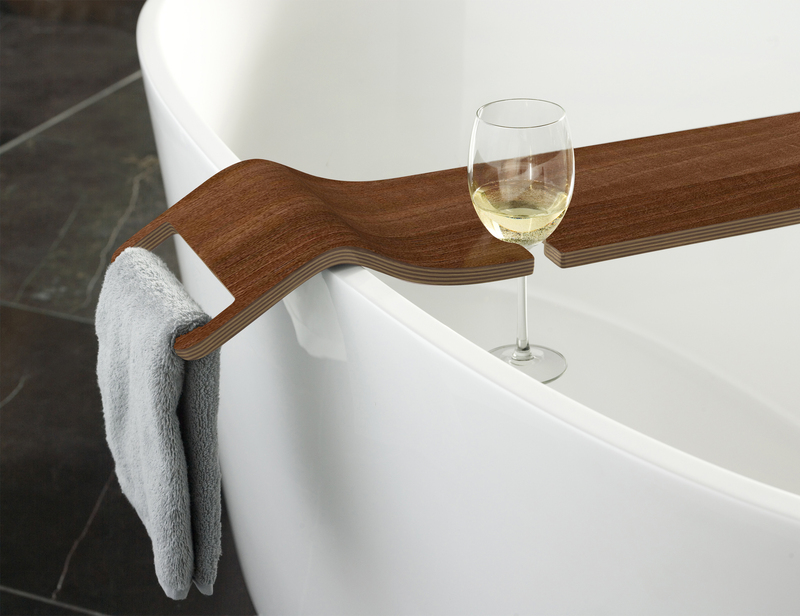 Now him and hubby are discussing the plumbing and what needs to be done…. And here’s how it looks now!! 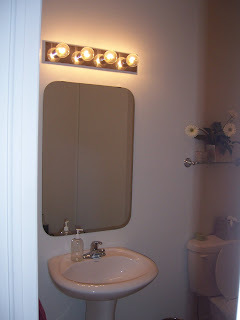 Here’s a close up of the vanity and the mirror that I found a Home Sense that was perfect. The photographs are mine from Paris (of course)…. Even Milo was pleased with the results and gave it his Paw of Approval! I don’t know if you noticed but I didn’t stick with one metallic finish. 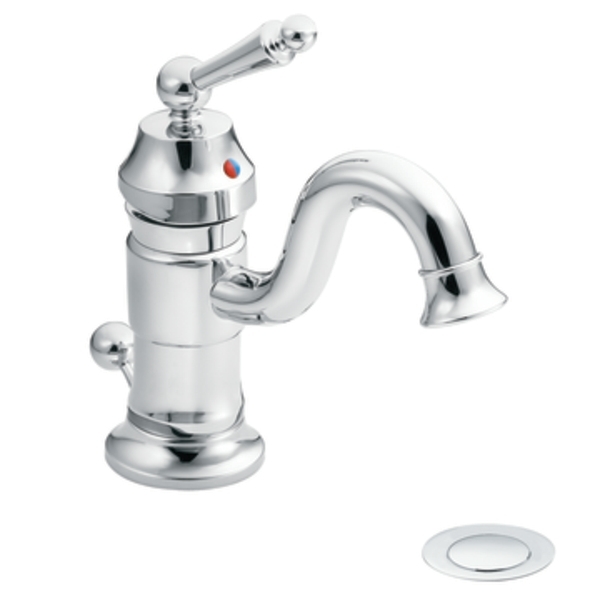 The light fixture, faucet, towel and toilet paper holder and glass shelf are all in a chrome finish. 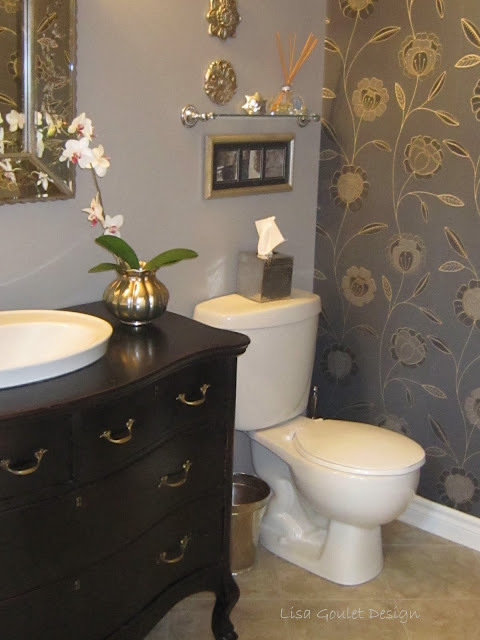 The orchid bowl, mirror, vase (on floor), picture frame above the toilet and the medallions over the toilet are all in an antiqued silver finish. 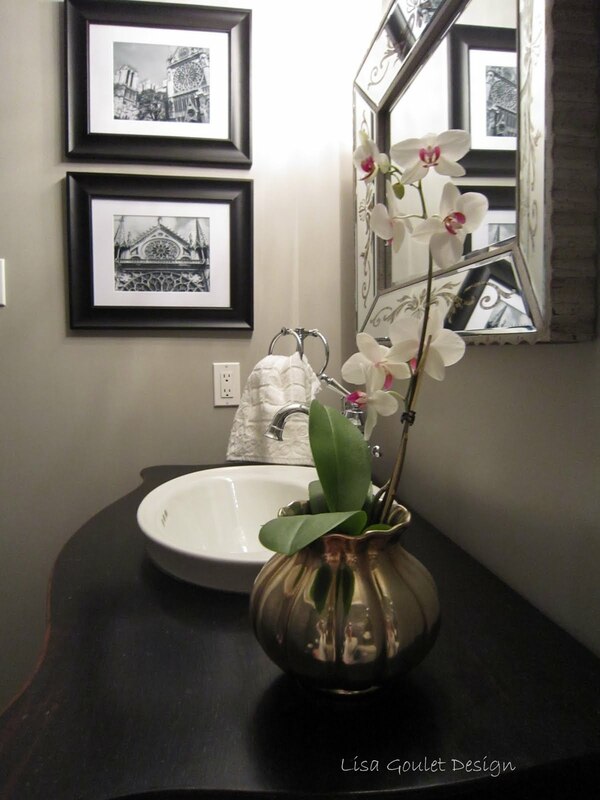 Because the handles on the vanity are the original brass ones (which I didn’t want to change) and the wallpaper has an antique gold in it, I felt that bringing in some warm yellow tones would tie everything together. And my budget, well it came in around $1200 which I think is pretty good. 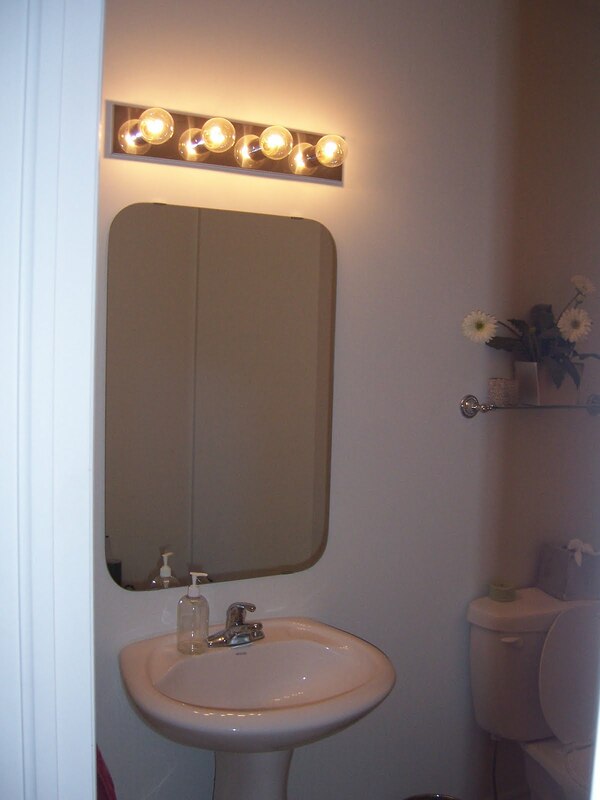 That included the vanity, plumbing pieces, mirror, sink, faucet and accessories. It doesn’t include my hubby’s new tools as apparently we needed those anyways!! 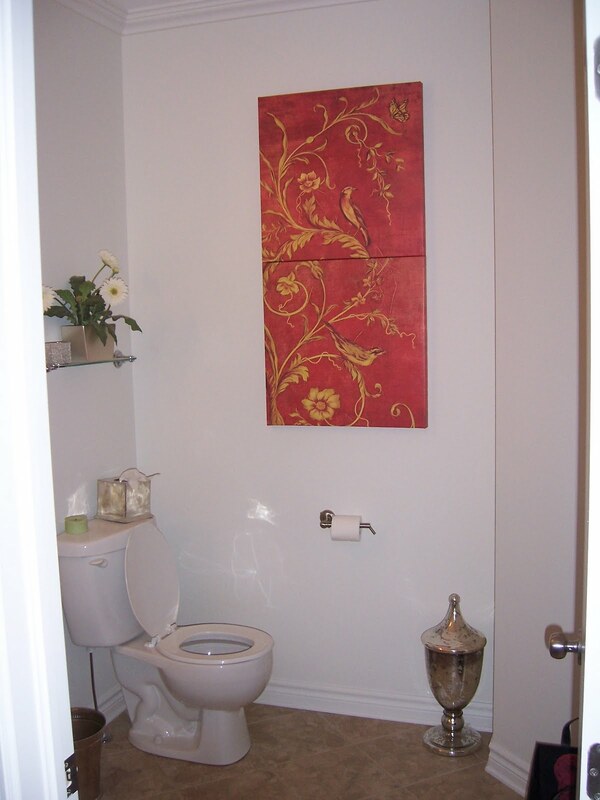 😉 Well, I’m so very, very, very pleased with the results and that I have one room in the house completed…..now what’s next??? ?